Ken Wel Bucky Harris 559 Model: 16 bids / $262. 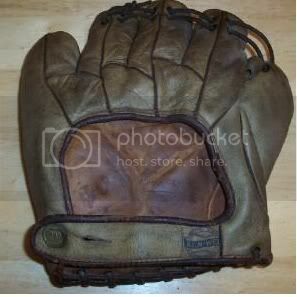 Beautiful condition glove with classic Ken Wel styling and bold patch. Spalding Joe DiMaggio 107 Model: 13 bids / $385. Great signature stamping stands out on this glove. Seller says the 107 model is super rare, but I cannot attest to that either way. 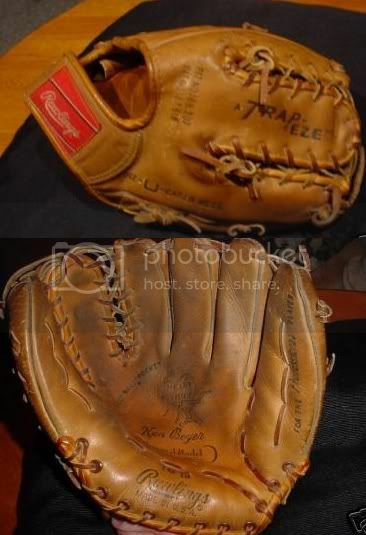 Rawlings Ken Boyer TG15 Trap-eze Model: 22 bids / $382. 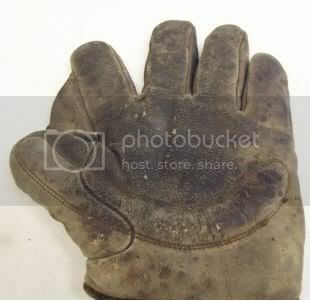 Not a rare glove but would probably be considered essential for any modern era collection. 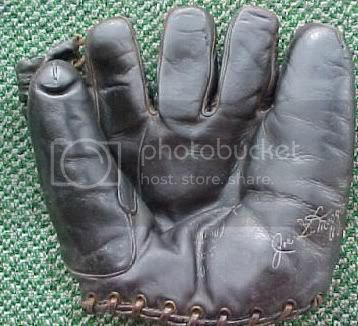 Crescent padded Fielder's Glove: 15 bids / $787. The back side of the glove shows what looks to be an immaculate lining, very solid piping, and a patch that looks to be in tact (Reach?, the seller never said). 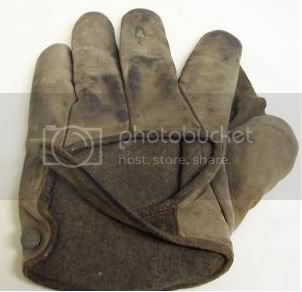 All of which I would say are signs of a high quality glove from the early 1900s. If I had to choose one, I'd take the Ken Wel model. Just a personal preference for Ken Wel brand gloves, although I'm sure others are rarer or more relevant from a historical perspective.